The Charlevoix Summer Art Show, features a mix of arts and crafts displayed on the shores of scenic Round Lake in downtown Charlevoix. Participating artists are carefully selected to ensure a well rounded show with many fun and unique items on display. 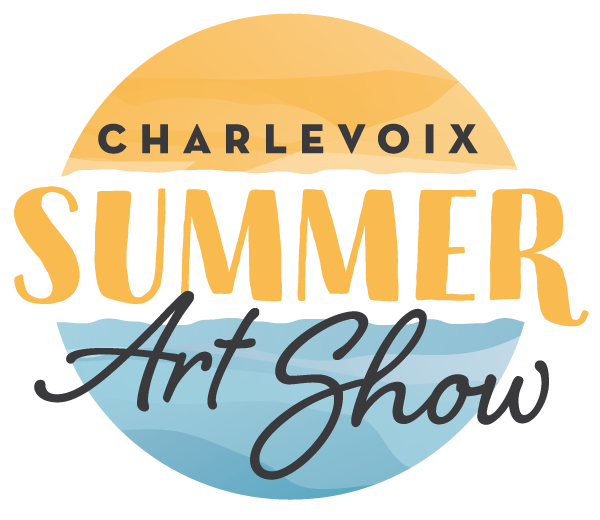 Join us as we welcome the arrival of summer in northern Michigan at the Charlevoix Summer Art Show, where works of art and scenic views are just a step away! 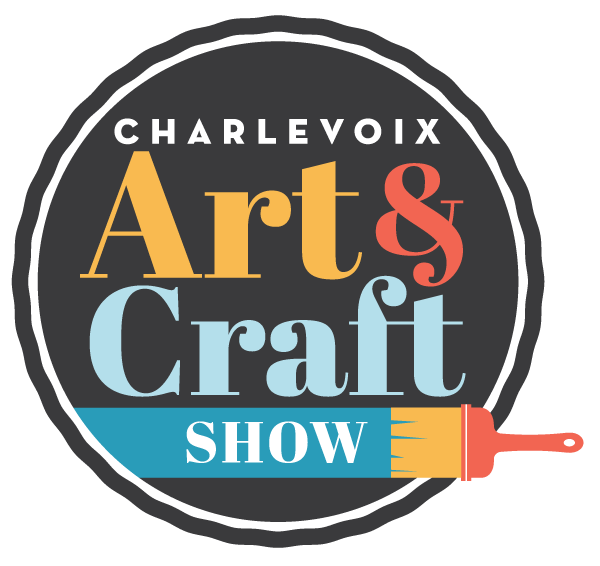 Combine one of the most picturesque settings in the state with a gathering of 160 artists and craftsmen from around the country, and the result is Charlevoix's Art & Craft Show. The show takes place during the peak of the busy summer resort season in Charlevoix the Beautiful. The diversity of hand-made items ensures something for everyone. From fine art to hobby crafts, it is a spectacular representation of creativity and workmanship with a fantastic selection of fun and unique items. 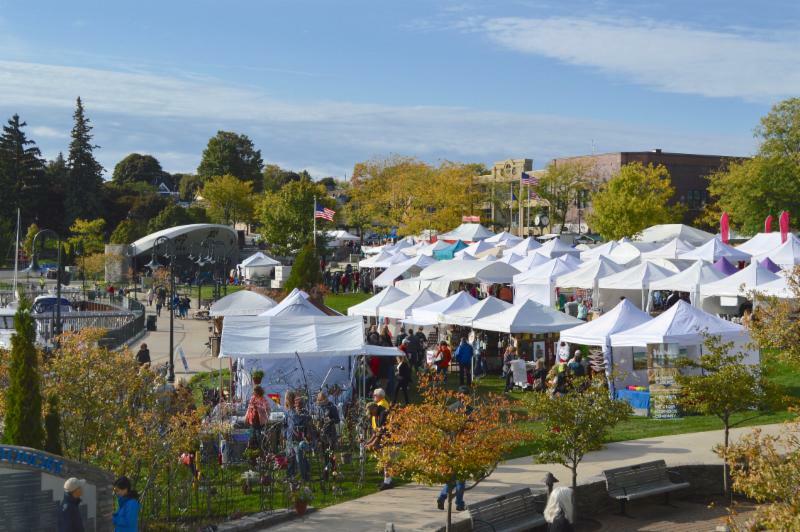 Experience the magic of autumn in Northern Michigan at the Annual Charlevoix Apple Fest. This 3-day event is held yearly to honor local orchards and growers who, in the spirit of the season, line Bridge Street to bring the fall harvest to you. The event includes a popular art & craft show offering a fantastic mix on fine art and hobby crafts, a fall farmers market and kid's activities. 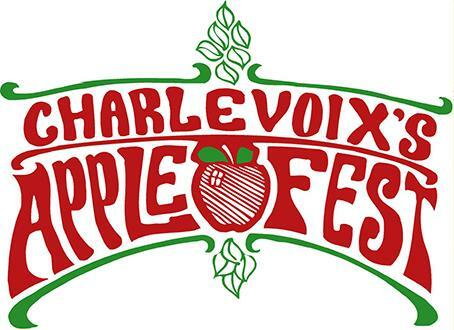 Apple Fest is one of Charlevoix's biggest Events of the year! *Promotion of each event to the art-buying public in newspapers, radio, press releases, social media, website calendars, and posters. *Professional on-site staff are ready to assist you. *Artist Amenities include bakery fresh morning coffee, donuts, muffins and water. *Overnight security to ensure safety of tents and merchandise. Application Deadlines - Applications are juried and accepted on a weekly basis until each category in each event is full. Notifications - Status letters are sent 7-14 business days after we receive completed application.